Comfortable, capable and unapologetically aggressive. 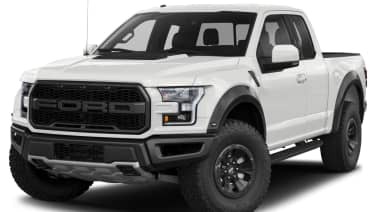 The 2019 Ford F-150 Raptor is, inside and out, almost identical to the previous version. It has the same 3.5L twin-turbo V6, same BF Goodrich KO2 tires, makes the same 450 horsepower and 510 lb-ft of torque, and has the same bloated price tag. It's also still unabashedly fun, and, in the case of this specific tester, ridiculously good-looking in Velocity Blue. Almost nothing about this truck has changed. New Recaro seats offer more support than the previous version. Ordinarily I find Recaros to be constricting and uncomfortable, and I'm not a big guy. Not the case here. Like everything else in this truck, the seats are oversized but enjoyable, whether off-road or just cruising on the highway. Adding to the comfort is the addition of new Fox shocks. These updated units allow for the same amount of travel as the outgoing model, 13 inches in the front and 13.9 inches in the rear. The biggest difference is the addition of Live Valve technology, which allows the Fox 3.0 internal bypass shocks to electronically adjust to changes in terrain in real time. The previous truck used to be a bit soft on the pavement, but thanks to these new shocks, the Raptor now handles the hairpin turns of a mountain pass not only with ease, but with precision not found in trucks this size. After driving around town, I headed off the pavement onto some snow and ice-covered mountain backroads, where the Raptor felt a bit more at home. The 2019 truck has the same two-speed transfer case and six Terrain Management modes as the prior truck, but it now comes with Trail Control, which Ford describes as cruise control for off-roading. With this you can set your speed between 1-20 miles per hour and the truck will maintain it, even adjusting the power to each wheel in order to maintain maximum traction. For me taking the challenge out of off-roading also removes the fun, but I can see some of the features coming in handy for novice 4x4 enthusiasts, including an option that will help you get unstuck if you should find yourself buried in sand. Speaking of trails, if off-roading through the mountains on forestry roads is your preferred outdoor experience, this truck isn't for you. Sure, it is capable enough to handle mud and rocks, but the sheer size of the Raptor will prevent you from accessing many of the trails out there (the last time I took the smaller Tacoma TRD Pro through the woods it emerged a pinstriped mess). This truck is more of a desert off-roader, happy at home on dunes and wide open rock formations, places where trees are few and very far between. I like to be critical of the size, but deep down, I love it. Sure, it may be the king of the wastelands, but it's the king of the road too. Driving it down the street, it turns heads. People get out of your way. It is the closest thing you can get to a monster truck from the factory. And yet, pull into a downtown parking lot and all of that power disappears. I had to back out of entire lots because, not only was the Raptor too big for the spaces, it was too big for the tight aisles. People love to complain about the Raptor's soundtrack, and one day I hope I won't have to write about it, but unfortunately that day is still a ways off. Sure, it is no V8 gargle, but it is a far cry from sounding bad. And if the biggest compromise for the added performance of the twin-turbo V6 is a change to the exhaust note, I'll take that tradeoff every day. In the end, the only thing holding me back is the $74,430 price tag of this particular tester and the fact that I can't afford one. 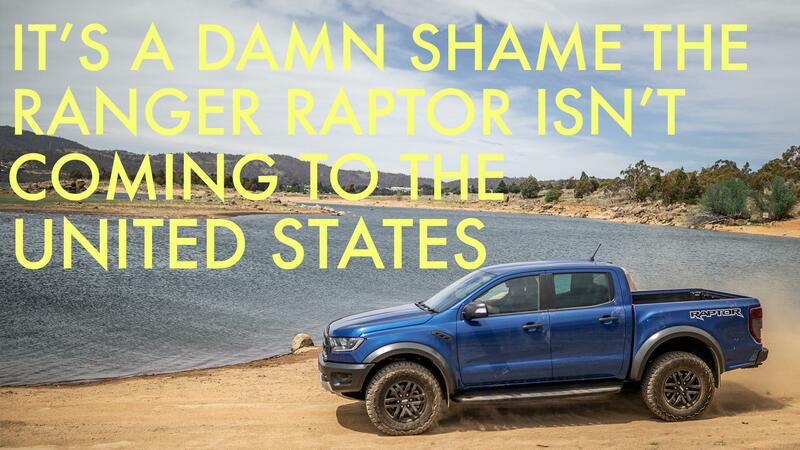 Sure the base price of the Raptor is only $52,855, but good luck finding one that cheap. After a quick search on Autoblog's car buying page, the cheapest 2019 model I was able to find within 100 miles of my home came in at $66,094. The 2019 Raptor continues its legacy of being the most fun you can have with your clothes on. But how long that will last remains to be seen. With Ford throwing the Raptor badge on the Ranger and Everest overseas, surely a Raptor Ranger and Raptor Bronco will someday hit our shores. Until then, this is the best we've got, and the best we've got is enough. The F-150 Raptor is comfortable, capable, attractive and unapologetically aggressive. And the best just got better.